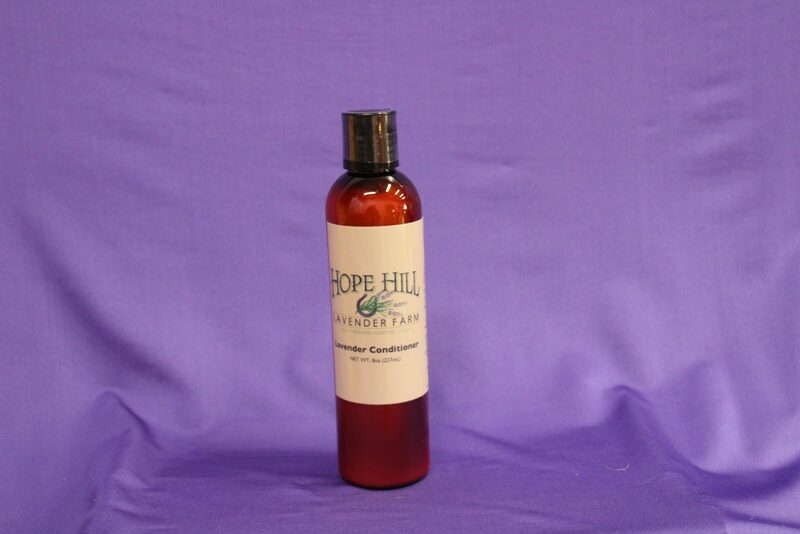 Our 8oz lavender conditioner is paraben and gluten free. Works well on all hair types following our lavender shampoo. Ingredients: Water, Cetearyl Alchol, Polysorbate 60, Organic Aloe, Behentrimonium Chloride, Avocado Oil, Organic Primrose Oil, Organic Evening Primrose Oil, Organic Linseed Oil, Organic Starower Oil, Amodimethicone, Organic Jojoba Oil, Organic Sesame Oil, Organic Olive Oil, Organic Coconut Oil, Shea Butter, Vitamin B5, Colloidal Oatmeal, Organic Gotu Kola Extract, Horsetail Extract, Organic Dandelion Extract, Wild Geranium Extract, Citric Acid, Guar, Hydroxypropyltrimonium Chloride, Coco-Caprylate/Caprate, Sodium Benzoate, Gluconolactone, Lavender Essential Oil. Visit our farm to experience lavender. Hope Hill Lavender Farm is veteran owned and operated. We strive to use American made materials. 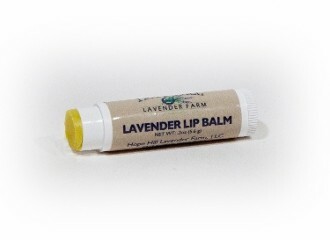 Sign up for email to receive farm news, and information on what is happening at Hope Hill Lavender Farm. Thank you for your support. 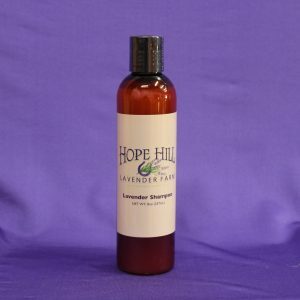 We look forward to continuing to offer you the finest lavender products.